Luci Holland is a composer, arranger, conductor and arts producer who composes for film, games and concert. Luci graduated from the University of Edinburgh with an MSc in Composition for Screen in 2013, now working regularly with the youth music charity Tinderbox Project, and coordinating artistic interactive seminars and performances as the Edinburgh Game Symposium and with her music-for-media band Mantra Collective. 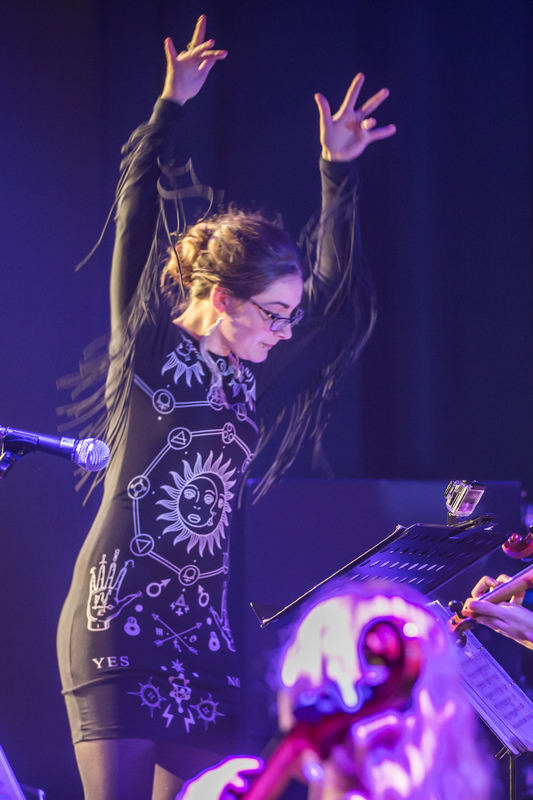 In 2016 she also orchestrated and produced an arrangement of Jessica Curry's Disappearing for official release with label Materia Collective, and is composing the music for indie game Echoes, in addition to some tracks for Skyrim mod Lordbound. Currently she is also working on several other international collaborative recording and music projects for film, and original music albums, and an interactive sonic art installation for the Hidden Door festival.